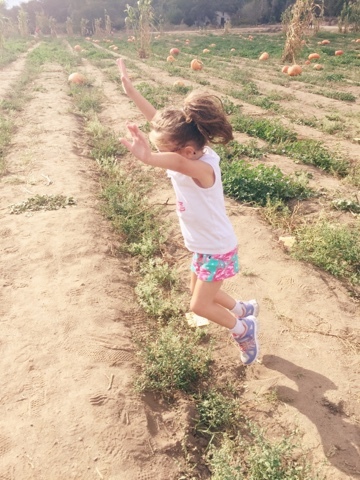 Tiny Toes in SoCal Sand: A Pumpkin Patch Party with Mother Goose Time! 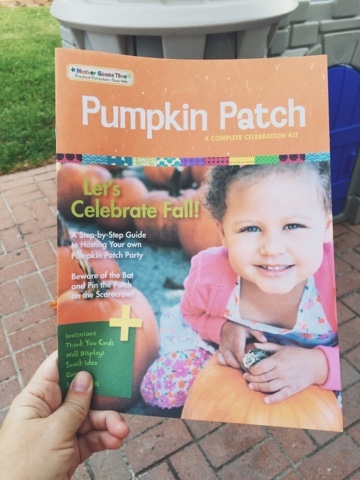 I'm loving that Tiny B and Strong B cannot get enough pumpkin in their life. They are truly feeling the wonder of Fall. Note: Being in Southern California means that we really don't see much of a Fall (honestly it almost looks the same as it did last month) but we like to pretend that we are in the midst of wearing wooly sweaters and scarfs and sipping pumpkin spice lattes. 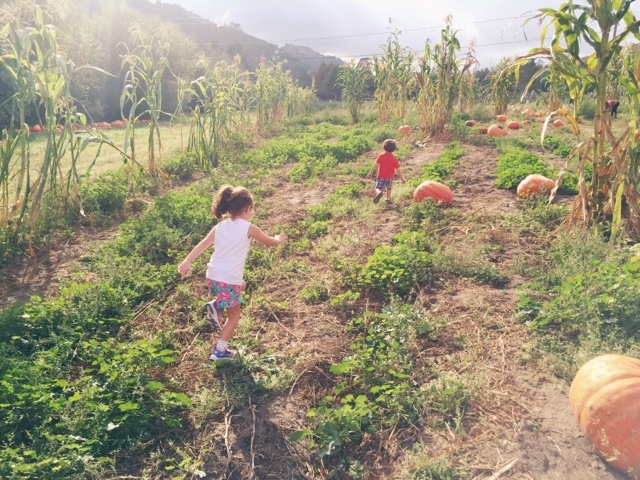 We went to a very busy pumpkin patch, and after about five minutes we took the kids to the farthest corner and let them run through the Big Mac pumpkins. It was a beautiful scene that I'm sure I'll always remember. 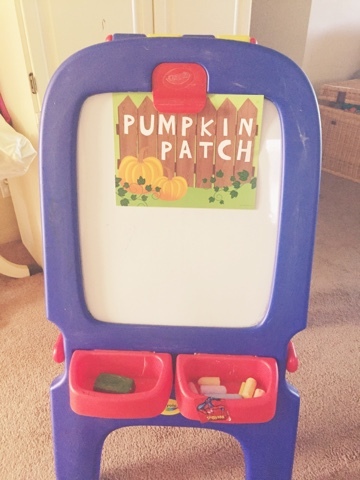 The kids had been excited all week because we were going to have a pumpkin patch party. They probably asked about it 2,457 times. 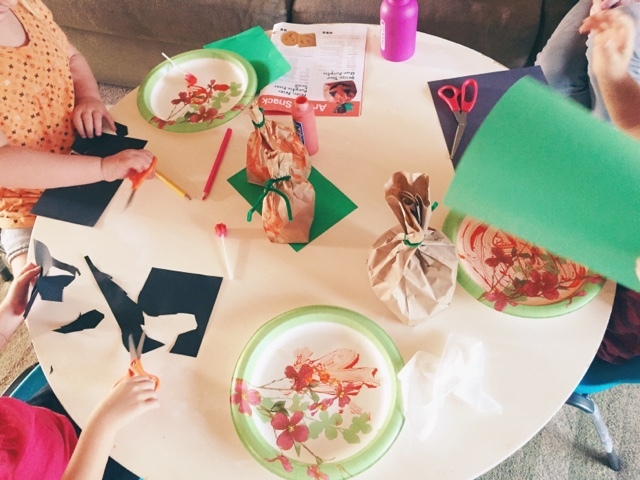 Mother Goose Time sent us a beautiful kit inside of this month's box. 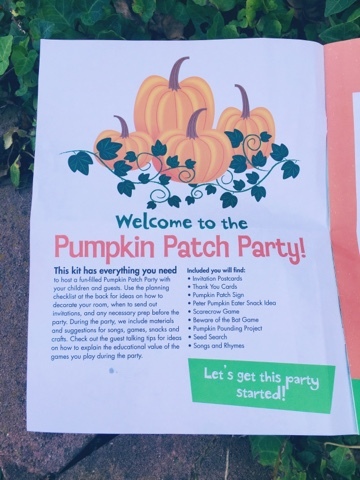 It included everything needed for a fabulous Fall party. 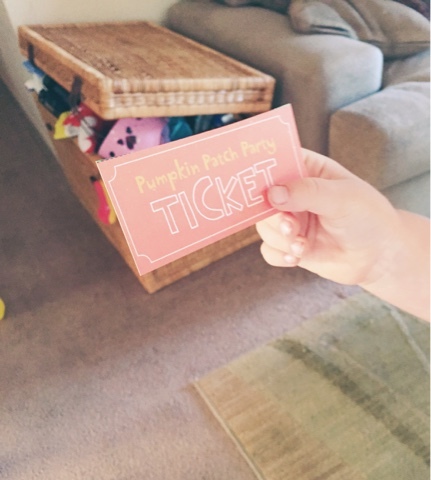 We invited a friend over and handed her a ticket to our party. 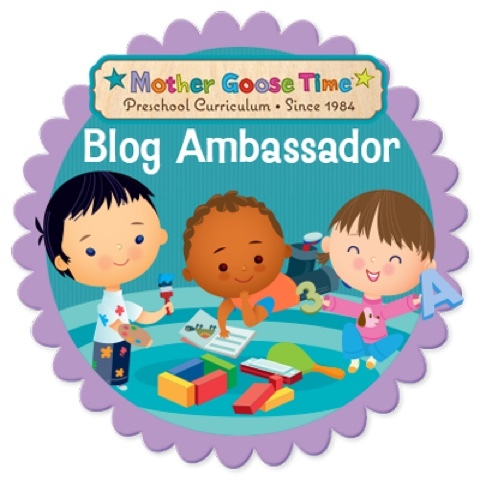 (Seriously, the stuff couldn't be any cuter and I really wish that Mother Goose Time could plan every party of mine being that I'm just dreadful at it). 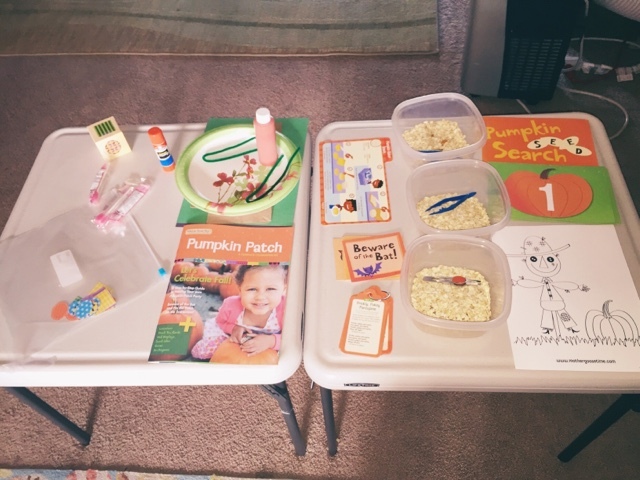 She came inside and was immediately greeted by an adorable sign, and many of the materials layed out on the tables. Strong B could not keep his hands off of the stuff! I'm lucky that my party materials actually made it to party time. You know three year-olds and their hilarious/maddening lack of restraint. Every single activity was planned out for me. Honestly, I barely even looked at the instructions until we were actually doing it! (This is how I usually do it with Mother Goose Time...I fly by the seat of my pants! My partner teacher and I used to joke about this because we secretly knew that we were both learning the lesson approximately six seconds before we taught it). 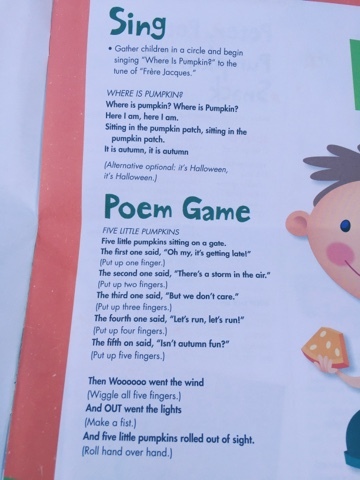 We began by singing a song about about pumpkins, and then I read them a pumpkin poem while they acted it out with hand movements. 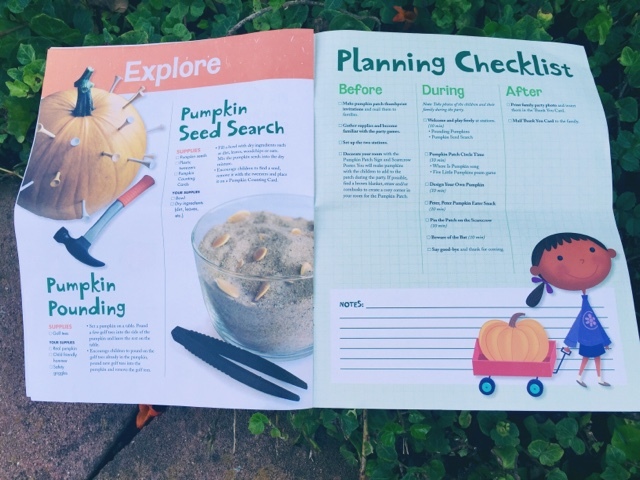 We then made pumpkins in the Design Your Own Pumpkin activity. 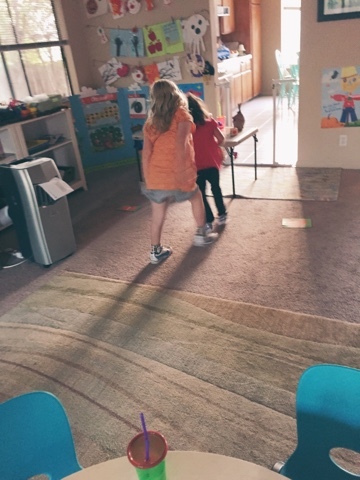 I have to be honest, Tiny B and Strong B had been so stinking excited about this party all day that by the time it came to do activities, they were very tired! Have you ever gotten yourself so pumped up about an event, so much so that you can't sleep? And by the time said event happens, you're not at your best? That would be my little darlings! 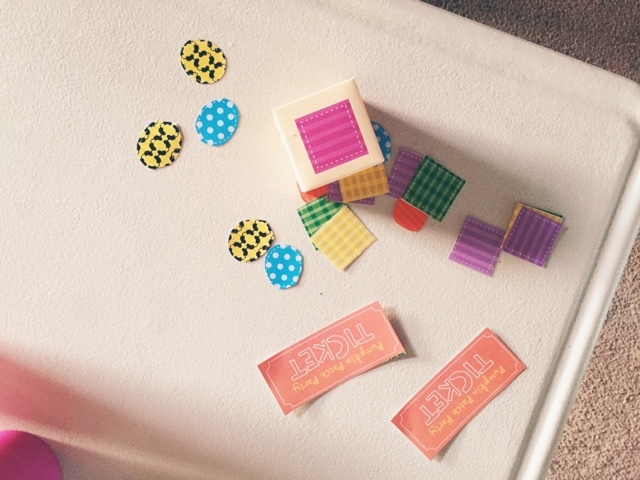 Luckily, our guest was very intent on paying attention to detail, and that helped reel my kiddos in. 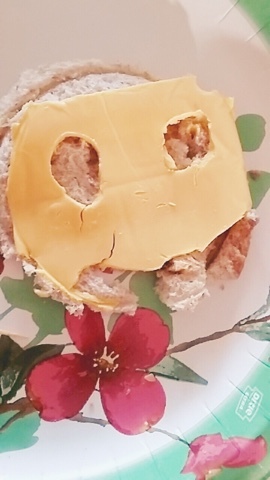 Next we made pumpkin faces in bread with highly processed cheese, and let me tell you, if you're ever in need of a food product that's easily moldable, this is it! I seriously think their creations were cuter than the model creations. 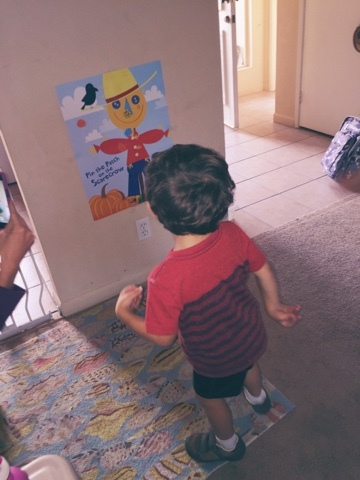 Something about seeing the art of my babies makes me get all sentimental. Peter, Peter Pumpkin Eater Snack activity was a success. 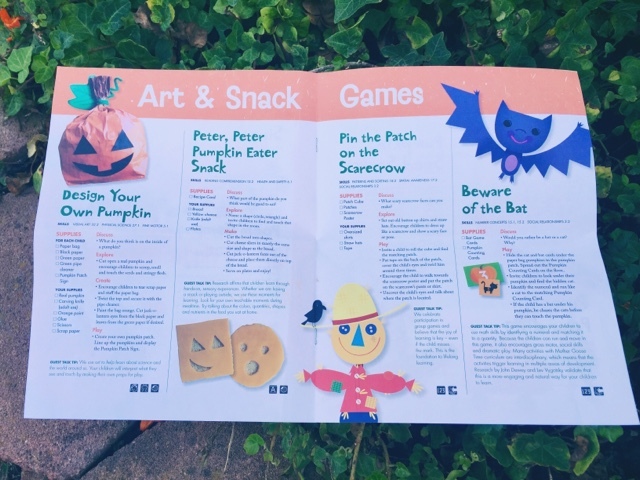 We played Pin the Patch on the Scarecrow (closing our eyes instead of using a blindfold), and the kids' squeals were evidence of a great time being had. Look at the little wiggle in his body. So cute. 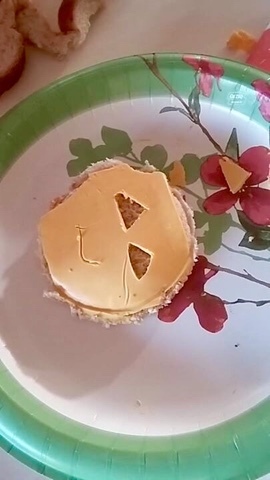 The would roll a cube, pick out the matching "patch" and pin it on the scarecrow. Beware of the Bat had them identifying numbers and matching them to a cat. A lucky "bat" got to chase the cat. This was the game that Tiny B said she enjoyed the most. 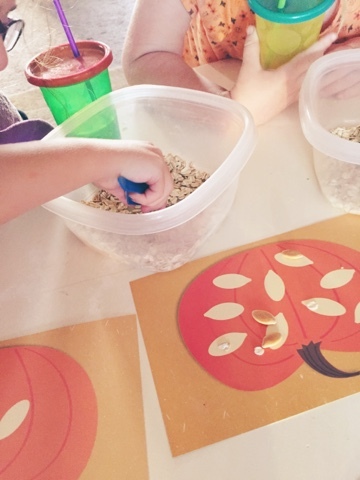 In Pumpkin Seed Search the kiddos used their fine motor skills to use tweezers (provided by Mother Goose Time) to pull pumpkin seeds out of a bowl of dried oatmeal. 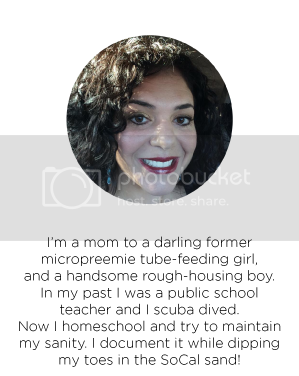 It was a beautiful party, and mom of our little guest told me that her child wished they did homeschool our way! When I was a teacher, I used to pilot different curriculums. This is one that I would surely have recommended to the district if I were still in that position. 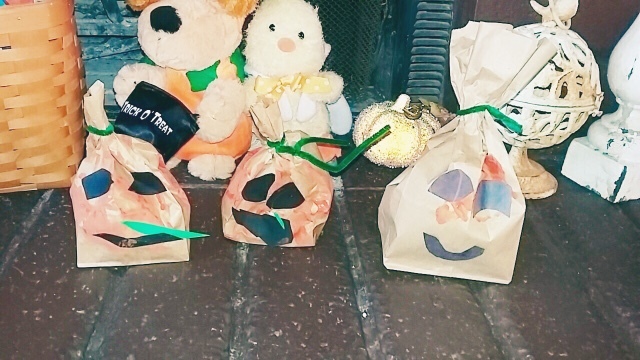 What a sweet pumpkin party for some sweet kids. I had told you that they were so excited about the party that they could barely do anything that day. In all honesty, I was just as excited for it, and it surpassed my expectations. Life is all about creating these fun memories that will stay with you forever.